Well, I got a wild hair today to make a new quilt. 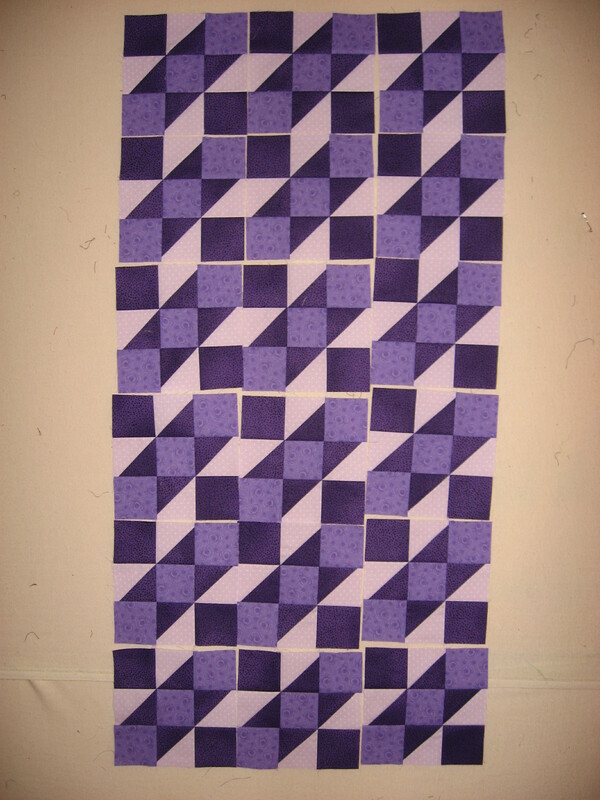 I bought the fabric years ago, with the intentions of making my Aunt Donna a quilt. I thought of her the minute I saw the fabric. Anyway, as the years have gone by………..I have done nothing with it except think of her everytime I see it in my stash. So today, I decided that since she had knee replacement last week and is having a hard time with the recovery, maybe now is the time to make the quilt for her. So I found an easy quick pattern and sewed this afternoon. 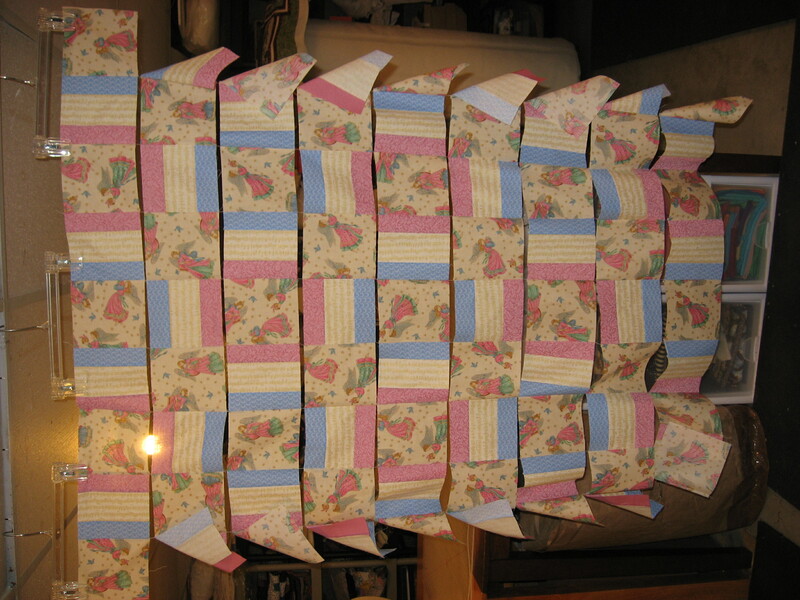 I sewed it in vertical sets and just put the sets together keeping them in order and now all I have left is to sew the rows together. I like the way the rows are all connected and in place. It makes it so easy to just sew rows and not have to worry about getting something turned in the wrong direction because everything is in the right place. Here it is on the design wall. I won’t have much time to work on it this week, but hopefully I can finish it soon and get it to her. 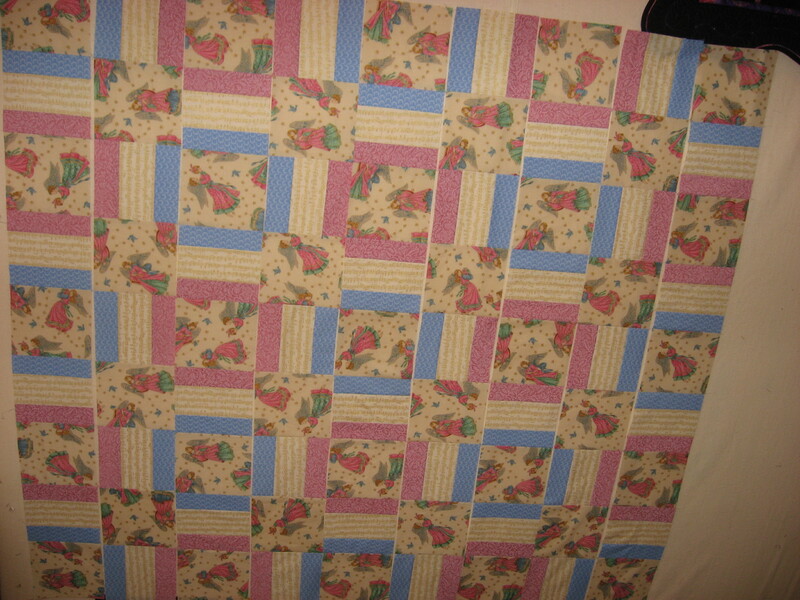 Aunt Donna’s quilt finished! Working on Christmas and other stuff….